There is one harrow moment of my life that leaves an indelible print of trauma in my heart. It is one of those moments in one’s life sojourn that is better forgotten. Unlike the usual experiences that are either centered on regrets or shame, mine came with blood, occultic brash, and near death! Nigeria has become enslaved to the menace called kidnapping ever since the act grew prominence in the Niger Delta region a few years ago. It has since then established a foothold in the South East, North (predominantly amongst terrorist groups like Boko Haram and Fulani Herdsmen) and South West regions of the country. According to NYA International, a United Kingdom-based global risk and crisis management consultancy, Nigeria sits comfortably at the fourth position in global index of countries in the world with the highest number of kidnapping cases in 2016, accounting for a quarter of all reported kidnapping cases across the world. 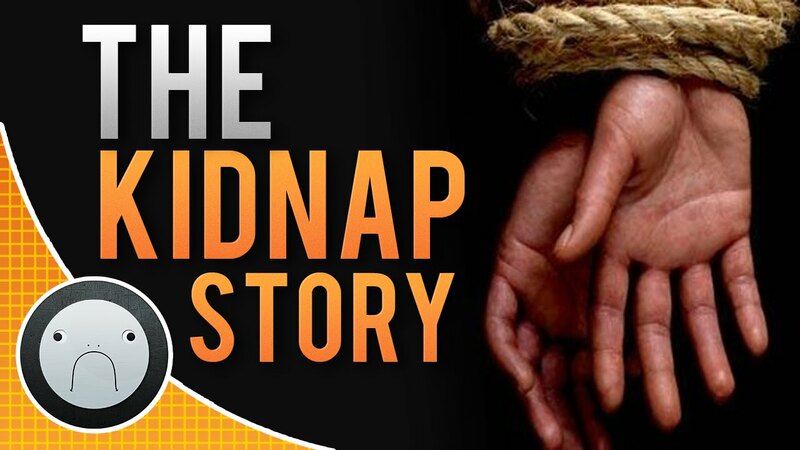 The report indicated that with the increasing level of poverty, unemployment and current belt-tightening economic posture of the country, kidnapping in Nigeria is expected to further increase if the government does not map out effective and creative security strategy to curb it. Most Analysts often calibrate kidnapping vertically around two clauses: family complicity and victims’ lack of self-security consciousness. While these postulations capture clearly the dichotomy of the acts, it creates a lacuna for victims with experiences like mine. I left my friend’s mum house in Ijebu-Ode around 6:30pm to get something across the street. It was my second year in the University and my friends and I had decided to spend the weekend in town with the family of one of us who happens to be from my school town and resides there. As most people who attended public institutions will tell you, school life is not always filled with fun and fanfare and for some of us who were born without a silver spoon (apologies to Eddie Iroh) the task of surviving becomes primarily our business. After series of days surviving on cassava flakes with groundnut, N30 bread and N20 beans, concoction rice often taken with a mixture of oil, grounded pepper and maggi amongst other self-conceived survival models, of which my friends may ‘lynch’ me should I ever let out, we departed Ijagun for Ijebu-Ode. My friend’s mum - one of the most wonderful women I have ever come across - showed us great care and more than often feeds us beyond satisfaction without any clause of duty attached. When it was time to go back to school, I stayed back to attend the weekly choir practice (yes, I used to be a chorister) while others left for school, the next day lecture was for an elective course I do not take. As I crossed the road to the next street, a strange man walked towards me to ask what says the time. Politely I responded after checking my phone but alas, that was the last I remembered. Have you ever been in a situation where you are watching a Nollywood movie and it seems the producer collected the script of your life to act on? The next time I gained flimsy consciousness, I was in a dark room with red candles lightening it up. There were men surrounding me with red wrappers round their waist and another directly in front of me. I was on my knees and while I made great effort to scream for help neither my lips nor my tongue answered me. I was not only dumb but practically immobile. After few minutes or hours (I still cannot say precisely) I was rounded up and dragged out. When I opened my eyes I was in the hospital, it was there I was informed that I came back home around 6:00am the next day with cloths wore inside out and laying face flat on the doorway. How I got there I still cannot fathom till date but one thing I am forever sure of is that my survival on that day had nothing to do with any mortal man. Today I am alive, hale and hearty but same cannot be said of thousands whose lives have been cut short by these men of evil. While many may attribute my survival to divine intervention or as my late grandmother puts it: ‘Madarikan’ – an inborn metaphysical bulletproof against forces of darkness and harm, I will forever live with the memories that comes with that moment. The menace called kidnapping has continued to escalate across the country unabated despite continuous assurances from security agencies. In most cases officers of law have been arrested as either having taken part in the operations or act as consultant to the kidnappers. Beyond the media hype and photo ops nothing comes up from the investigation as it often treated in the cult of esprit de corps. Elected and appointed public office holders have also fallen short of their oaths of office which includes inter alia the protection of lives and properties. Huge security votes are rather spent on procurement of choice properties for concubines and Paris shopping for families rather than equip the security agencies to be more effective. Politicians now prefer to pay ransoms to kidnappers than have the news of such act expose the inefficiency of the security under their watch. While crime in its entire form cannot be wiped away, it is important the vices encouraging it are reduced drastically. 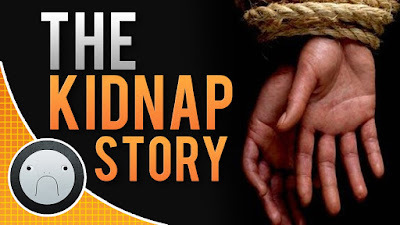 Ask families who have had their loved ones kidnapped; nothing kills hope more than when the police discreetly encourage them to pay the ransom.